Attention! 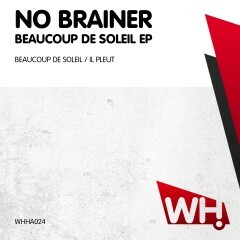 No Brainer is a name to watch out for and we are proud to bring you the essential Beaucoup De Soleil EP. These two gems manage to blend the best elements of the deeper end of the house music scale, keeping the drive in focus and maintaining an uplifting feel with the funk-fuelled grooves.